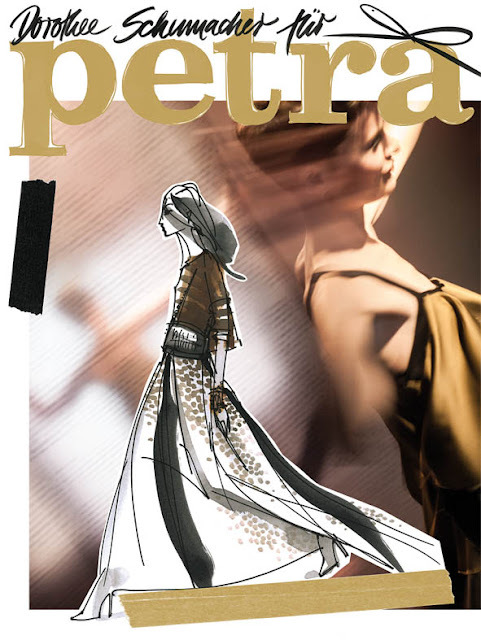 Right in time for Mercedes-Benz Fashion Week Berlin which starts on January 15 the new PETRA will be released in a limited edition with a cover created by Dorothee Schumacher. The designer connects one of the dresses of her spring/summer 2013 collection with the PETRA brand on the title page. The limited edition will be available at the info counter of the Mercedes-Benz Fashion Week tent as well as at the hippest locations, the coolest coffee shops and the best stores in Berlin.